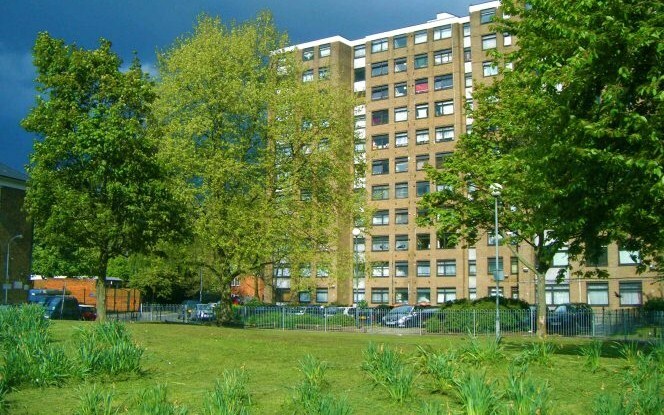 Hammersmith and Fulham Council has admitted that over the last nine years it has spent over £10,000,000.00 of hard-earned tax-payers' money refurbishing two estates it now plans to demolish. In an email to Cllr. 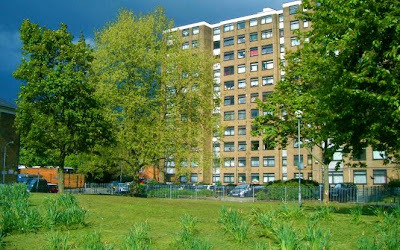 Lisa Homan (Lab), the Borough's director of housing wrote: "I can confirm that the total capital expenditure on West Kensington and Gibbs Green Estates between the financial years of 2002/3 - 2011/12 was £10.34 million, which includes work undertaken as part the Decent Homes programme, together with environmental improvements." This £10.3m improvement scheme had been the first major investment into improving those council homes in decades. They were brought up to scratch with new environmentally efficient windows and doors, new kitchens. new bathrooms and improvements to the public space. 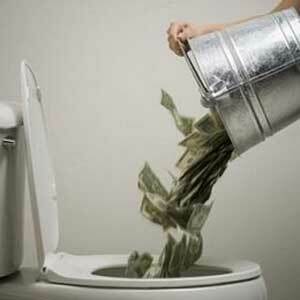 But all of that money has been wasted. Within the last two weeks the Conservative Administration has sold the two estates to a favoured property speculator at a knock-down price. Then Conservative councillors granted them permission to demolish the 800 families' homes that form the community on what is now viewed by the Conservatives as no more than a development site. Has H&F Council Been Complicit In Offering Homes For Support Of Their Demolition Scheme? Hammersmith and Fulham Council has admitted that it has long been aware that new homes were being offered to residents of the West Kensington and Gibbs Green estates in return for support of the Council’s controversial scheme to demolish both of those estates. While it blames its partners for compiling the “VIP list” it has consistently refused to investigate why its officials didn’t immediately stop it and to what level, if any, they were involved in agreeing it. We therefore have a situation where at the very least H&F Council appears to have turned a blind eye to a hoodwinking exercise designed to falsely win support and it did this while it was carrying out the necessary statutory consultations about this scheme. On 31st January 2012 two directors of the limited liability company, H&F Council had helped establish, resigned. The company had been formed for residents supporting the demolition of the two estates but both directors became disenchanted when they concluded the scheme was flawed and bad for their fellow residents. In his resignation email to H&F Council, one of the former directors stated "remember the list of about 120 VIP estate residents who have been promised priority in the move to Seagrave Road (if it ever happens) irrespective of if their homes are required for development." He alleged that the VIP list had been compiled “to garner resident support” and that a council official had “agreed” all of this. If that has happened the Council will have acted unlawfully. I had previously heard rumours of such activities but when this document was forwarded to me in March it was the first time I had seen anything specific or in writing. Coming from such a prominent person, I believed H&F Council would naturally want to investigate what had actually occurred. I asked Cllr. Andrew Johnson (Con), the Borough’s cabinet member for housing and Mr. Melbourne Barrett, the director of housing about this alleged bribery and to tell me what actions they have taken to investigate it and how they intend to deal with it? At the Cabinet Meeting on Monday 3rd September, Derek Myers informed the Committee that the full extent of his investigation was no more than to ask Mr. Barrett about what had happened. Melbourne Barrett told us that the full extent of his investigations were no more than to ask a project manager about it. Meanwhile, Melbourne Barrett agreed that there is a "longstanding" and "close and fluid" working relationship between CapCo, the Council's residents group and the Council - adding an assurance that this was all above board and beyond reproach. I cannot see how he was able to make such an assurance given the Council's complete failure to properly investigate or take seriously these alarming allegations. Yesterday morning the West Kensington and Gibbs Green residents associations delivered a dossier to my office. It contained further and similar allegations of a VIP list which they compiled after listening closely to the council officials' unsatisfactory answers at last week’s cabinet meeting. They have also handed a copy to the Borough’s police and appear to have press released it. This matter is clearly far from closed. Exactly how was this VIP list compiled? When did this begin and is it still happening? Which people were involved in compiling it? What were the terms and requirements for getting onto the VIP list and how was it used to "garner support?" Which council officers knew of the VIP list and exactly when? Were any council officers involved in compiling it or agreeing it in any way - as alleged? What measures did H&F Council take to stop it and when did they do this? Exactly what correlation is there between the 120 people alleged to be on the VIP list and the Council's own "early movers list?" What conclusions did council officers and their legal advisers reach about this potential illegality and unlawfulness? To what level has this affected or invalidated the statutory consultations H&F Council carried out during this period? I am sure there are plenty of other questions that need to be answered about the homes for support allegations but these are the very least Hammersmith and Fulham Council needs to come clean about.